Fitness For The Rest of Us: Halo Top Creamery: Delicious Protein Packed Ice Cream Without the Guilt! 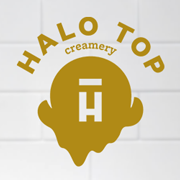 Halo Top Creamery: Delicious Protein Packed Ice Cream Without the Guilt! Halo Top is the first 100% organic, light, low sugar, ice cream that’s made using only the healthiest ingredients (like organic lemon peel, organic strawberries, organic vanilla beans etc.). And best yet, it tastes amazing- I really enjoyed all of the varieties I got to try. The ice cream freezes harder than normal ice cream and has a unique smooth texture that I really liked. The low calorie content & impressive ingredient make this a sweet treat YOU NEED IN YOUR LIFE! The ice cream comes in YUMMY flavors like Chocolate Mocha Chip & Birthday Cake so yes you do need this! I have a sweet tooth & I LOVE that I can enjoy ice cream without the guilt. Not to mention that one serving contains 6 grams of protein! Because of the healthy ingredients used, a serving of Halo Top is just 60-80 calories and contains 6 grams of protein, 4 grams of fiber and only 4 grams of sugar and 4 net carbs! Check out the nutrition label and ingredient list for the chocolate- super impressive! So seriously, you can eat the entire pint and not feel guilty about it! I love that the ingredient list is straight forward real ingredients that I can pronounce & feel good about eating. Halo Top comes in six flavors; the traditional flavors like Chocolate, Strawberry and Vanilla Bean, along with the more unique and fun flavors like Lemon Cake, Mint Chip, Birthday Cake and Chocolate Mocha Chip. I honestly liked all of the flavors and love that I could eat the entire container if I so chose, for fewer calories & less fat than one serving of regular ice cream. While Halo Top is low-calorie, high-protein, and low-sugar, they use only the best, all-natural ingredients so that it tastes just like regular ice cream.